Reusable Furniture Molds: Buddy Rhodes unveils molds for casting concrete planters, stools, and tables. Fiction: Concrete furniture is a recent innovation. Fact: Thomas Edison—the inventor of the light bulb and one of the first to build cast-concrete houses (see Famous Concrete Homes)—came up with the idea of using concrete to make furniture back in 1911, claiming it would be more durable and affordable than wood and equally as attractive. To demonstrate, he made several pieces of furniture, including cabinets for his phonographs, using an air-impregnated foam concrete mixture he developed in his lab, which kept the weight down. Edison declared that his concrete pieces could be stained "to look like any type of wood desired." 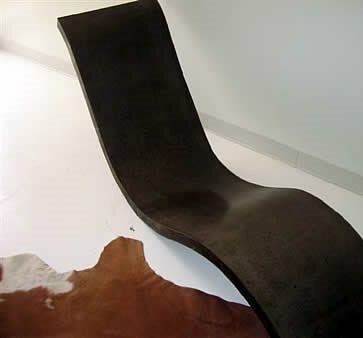 Although his novel idea didn't catch on at the time, he proved to be right about the potential of concrete as a furniture medium. Fiction: All concrete furniture weighs a ton. Fact: While it's true that a piece of furniture cast of traditional normal-weight concrete can be pretty darn heavy, the weight is often an advantage when it comes to outdoor pieces, keeping your furniture from turning into a projectile in high winds. For indoor furniture, many artisans use lightweight concrete mixes (an idea borrowed from Edison) to reduce the weight. They may also use fiber reinforcement so the elements can be made thinner without sacrificing strength. Large furniture pieces, such as bookshelves and conference tables, are often cast in smaller components for easier assembly and transport. 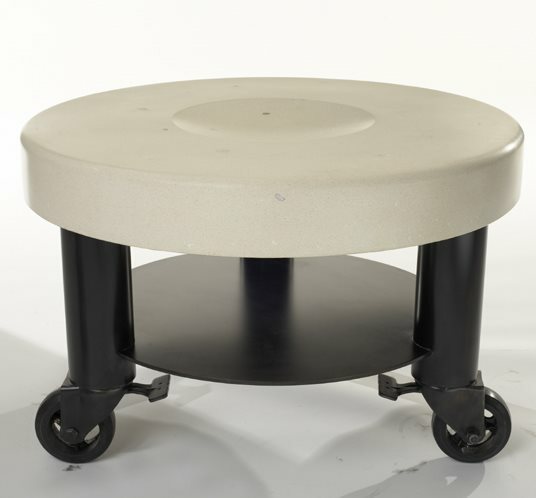 Some furniture makers improve the mobility of heavier concrete pieces by mounting them on casters or rollers. Fiction: Concrete seating is uncomfortable. Fact: No more so than seating made of wrought iron or solid wood (think church pew). Cushions or pillows will significantly boost the comfort factor. Even without cushions, concrete seating can be comfortable. Some designers mold contours into their pieces to cradle you ergonomically. Fiction: Concrete furniture will clash with the rest of my décor. Fact: This is the biggest myth of all. With concrete's ability to be molded into any shape and assume any texture or color, it can blend beautifully with styles ranging from traditional to ultra-modern.